Love quick fish recipes? 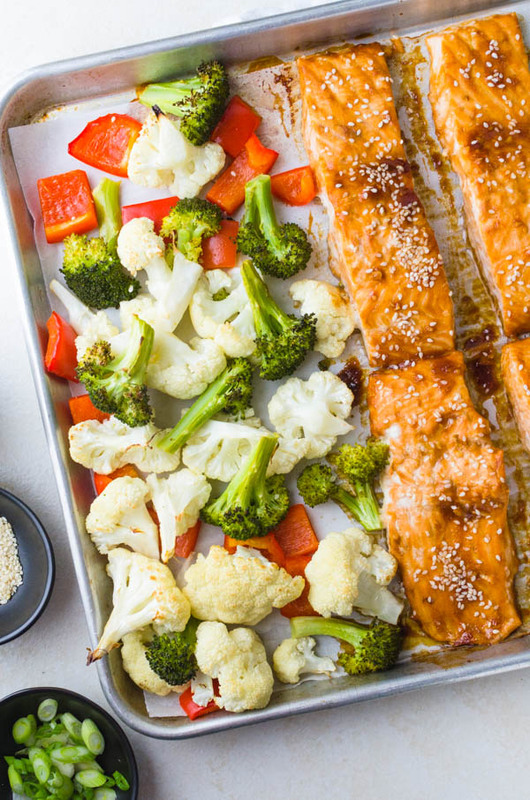 This sheet pan salmon will be your new favorite. 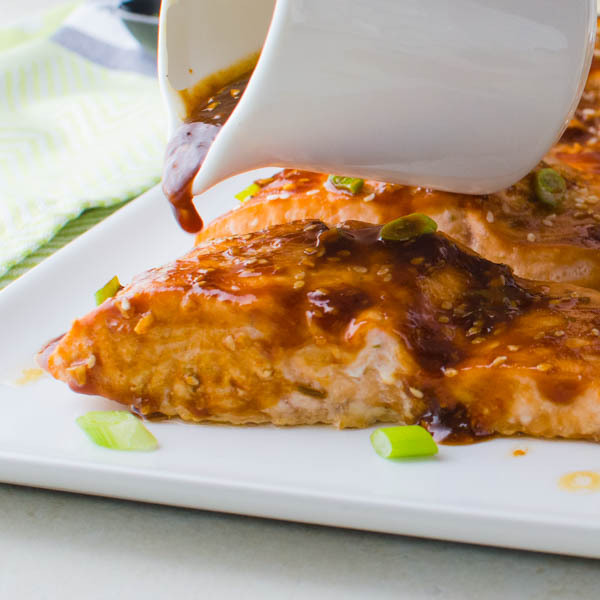 With a spicy, sweet sauce, this Hoisin-Maple Asian Glazed Salmon dish from the Ultimate One-Pan Oven Cookbook, is a fast, healthy baked fish recipe that the whole family will love. 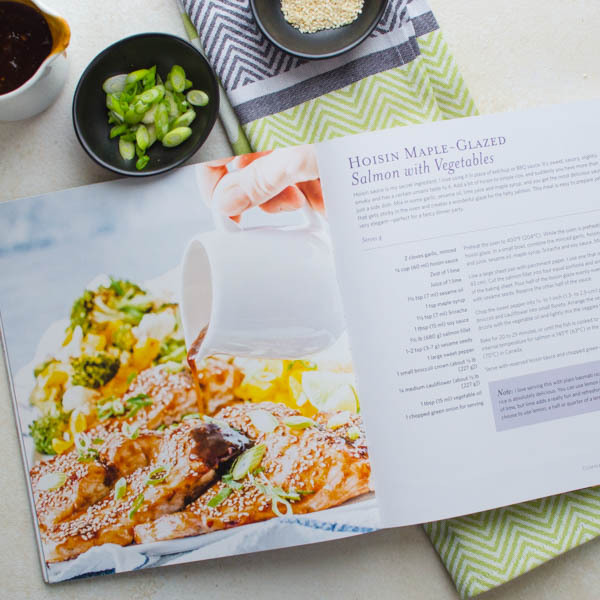 Since the kids are back to school and we’re all looking to simplify our evening dinner routines, this Asian glazed salmon and the cookbook from where I sourced the recipe, are worth their weight in gold on a busy Tuesday night. My friend, blogger and author, Julia Konovalova, has published a cookbook that will make you a dinner hero (or breakfast or lunch hero) every day of the week. Julia shares her recipes on the blog, Imagelicious, a cooking website that is constantly inspiring me with new flavors and preparations, so when she offered me a sneak peak of her newly published tome, I jumped at the chance to see it. Her book is filled with simple, inventive recipes, designed to let your oven do most of the work. From Mango Chili French Toast to Spatchcock Chicken with Lemons and Oranges and Easy Weeknight Vegetarian Lasagna, plus a host of soups, salads, sandwiches, sides and desserts, Julia’s new cookbook is loaded with mouthwatering recipes that can all be made in one pan — and in your oven. 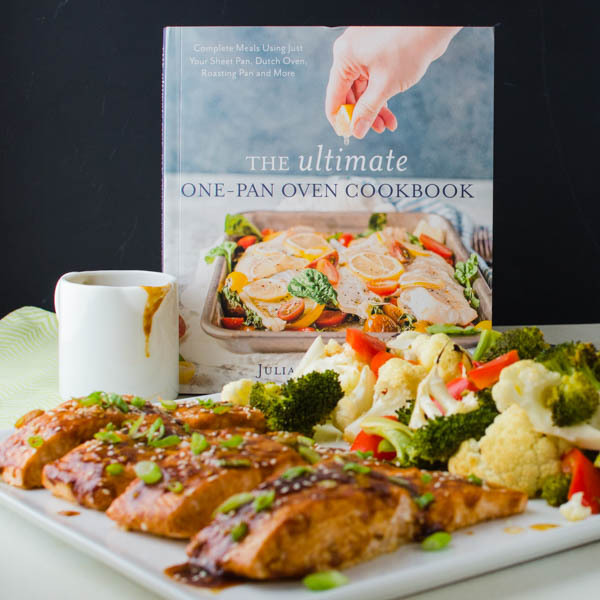 The best part — Julia is giving away a copy of The Ultimate One-Pan Oven Cookbook to one of my readers, so be sure to leave a comment and maybe you’ll be the winner! Giveaway is only open to U.S. and Canadian Residents. 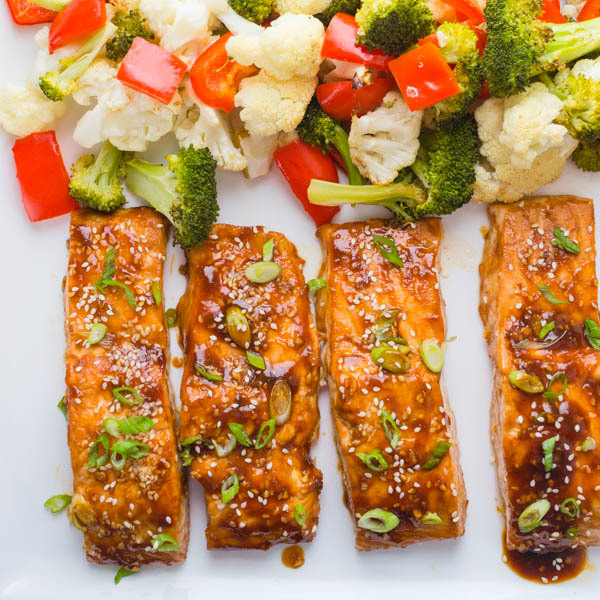 I honestly had a hard time picking which recipe to try first, but finally settled on this Asian glazed salmon because — it was a weeknight, I had all the ingredients on hand, and let’s face it — who doesn’t love a quick fish recipe, right? 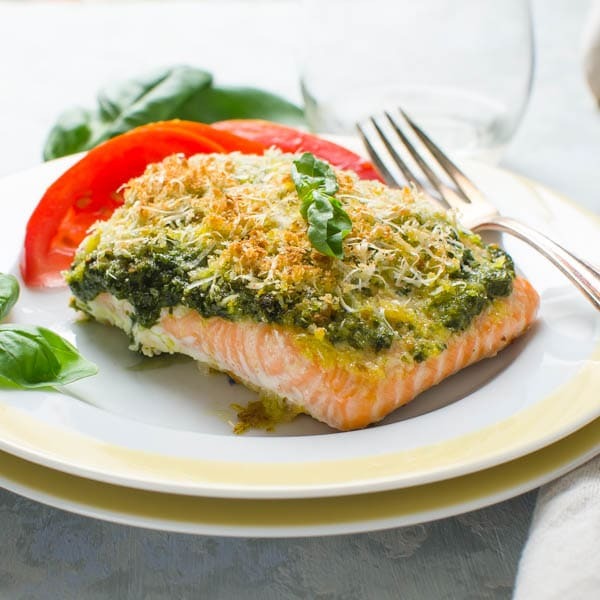 We eat salmon at least once a week because it’s always a crowd-pleaser, but also because I love the nutrient dense salmon with its Omega-3 fatty acids, consequently, this healthy baked fish recipe jumped off the page at me. 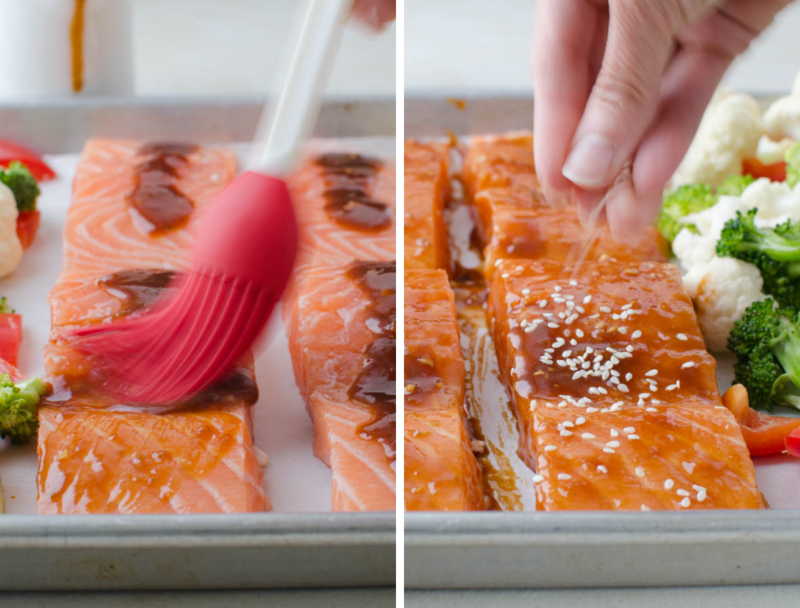 Julia’s sheet pan salmon starts with a hoisin-maple glaze that also includes, soy, lime and Sriracha for a savory, sweet, spicy hits-all-parts-of-the-tongue flavor bomb. Though Julia didn’t specify the type, I used Atlantic farm-raised salmon instead of Sockeye or Coho, which I usually grill. It’s a personal preference, but I find Atlantic salmon a little fattier and to me, it’s better for baking. I simply sliced my fillet into individual servings and surrounded it with cut fresh vegetables, tossed in a little oil, then drizzled about half of the glaze over the fish. With a pastry brush, I lacquered the fish with that tasty sauce and added a sprinkle of sesame seeds. After a few more pictures, it was ready for the hot oven. The whole prep for this meal took about 20 minutes (10 of which were spent taking pictures), so this is definitely a quick fish recipe. 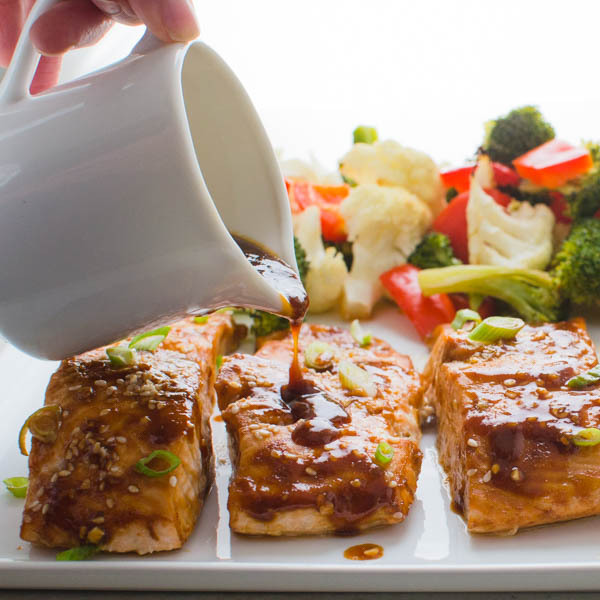 To me, the way you serve the Hoisin-Maple Asian Glazed Salmon is the difference between a weeknight and a weekend. Should you arrange it “all pretty” on a platter or leave it on the pan? To me, it all comes down to convenience. 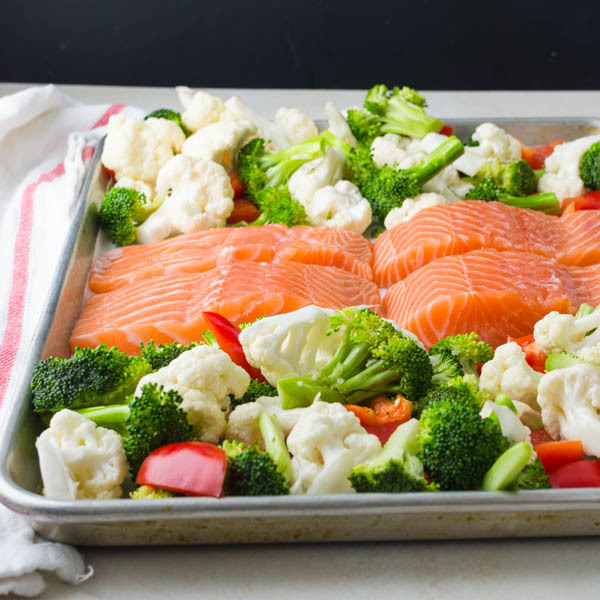 If it’s a busy weeknight and it’s just the family, I’m all for putting this hot sheet pan salmon on a trivet in the center of the table with a spatula – à la quick fish recipes and easy cleanup. 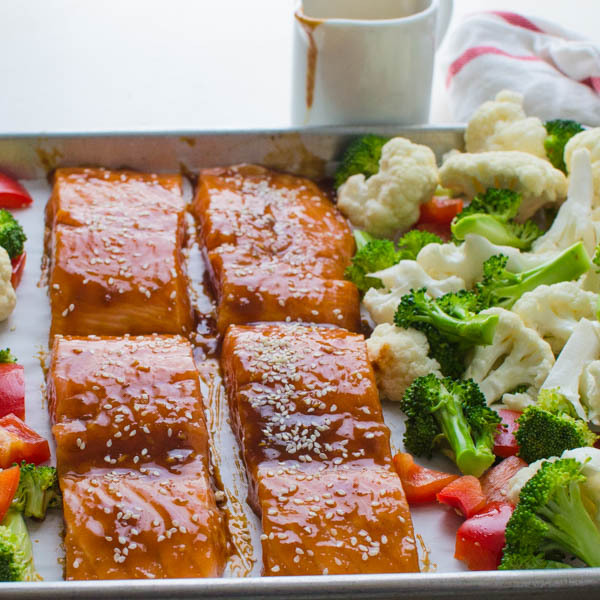 However, if it’s a weekend, or you’re having company, I’ll make that (small) extra effort and arrange the Asian glazed salmon and vegetables on a serving platter — with real serving utensils. Honestly, it doesn’t matter how you serve it, because the flavor is what really matters — and Julia’s Asian Glazed Salmon delivers. The salmon was tender and flaky, the vegetables were the perfect doneness and frankly I couldn’t get enough of that amazing hoisin-maple glaze. Give it a try this week for dinner and let me know how it goes for you. If you’d like a copy of The Ultimate One-Pan Oven Cookbook, be sure to leave a comment illustrating how this cookbook will solve your biggest cooking challenges. Or go straight to the source. <<< shameless affiliate link! 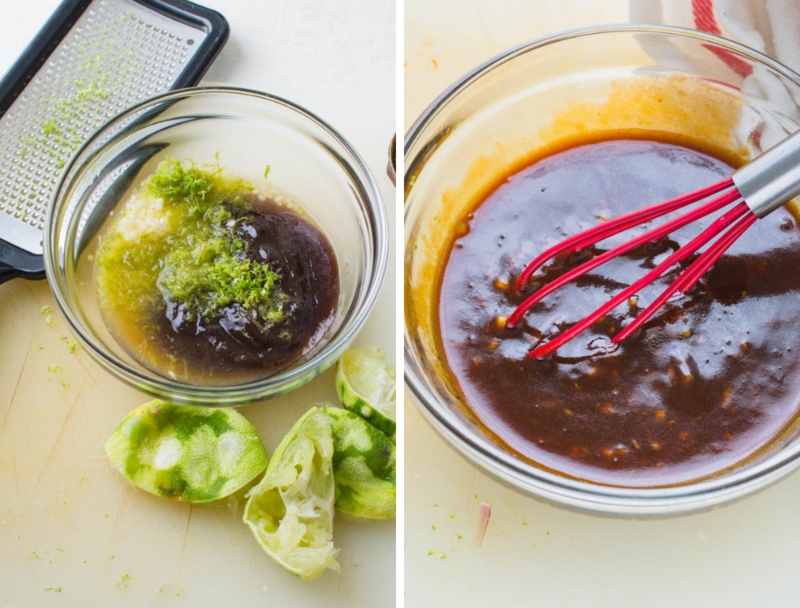 Julia says that hoisin sauce is her secret ingredient, using it in place of ketchup or BBQ sauce. She likes its sweet, savory, slightly smoky umami quality and this sauce is dynamite on the fish and vegetables! Preheat the oven to 400° F (204° C). In a small bowl, combine the minced garlic, hoisin sauce, lime zest, lime juice, sesame oil, maple syrup, Sriracha and soys sauce. Mix well to combine. Set aside. Line a half sheet pan (11"x17") with parchment paper. 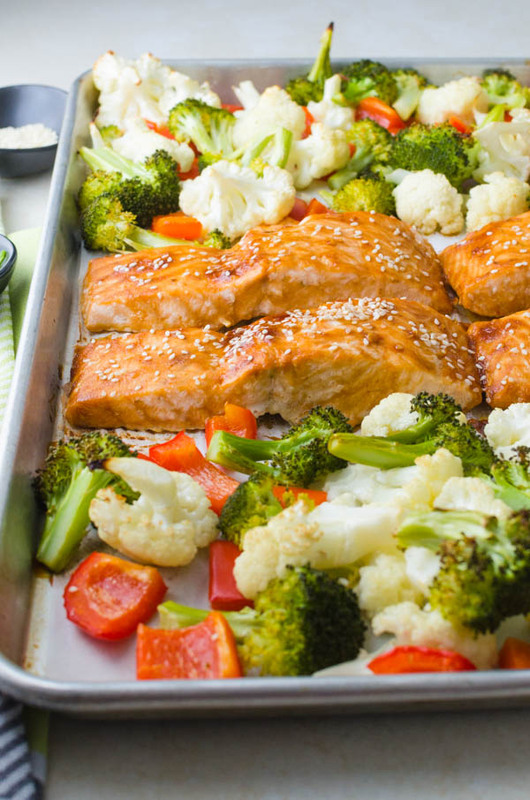 Cut the salmon fillets into 4 equal portions and arrange in the center of the baking sheet. Pour half of the hoisin glaze evenly over the fish (I used a pastry brush to make sure it was completely covered) and sprinkle with sesame seeds. Reserve the rest of the sauce for serving. Chop the sweet pepper into 1/2 to 1 inch pieces. Separate the broccoli and cauliflower into small florets. 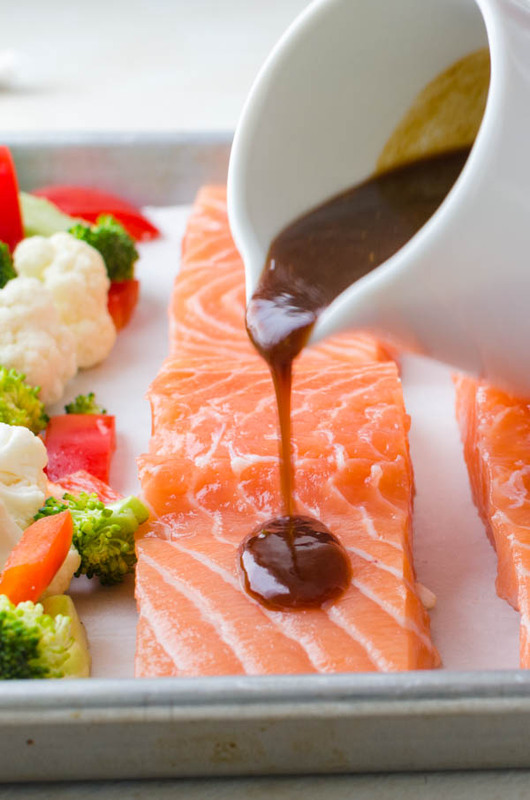 Arrange the vegetables around the fish and drizzle with the vegetable oil. Lightly toss to coat. Bake for 20 to 25 minutes or until the fish is cooked to your liking. The safe internal temperature for salmon is 145° (63°C) in the United States and 158° (70°C) in Canada. Serve with reserved hoisin sauce and chopped green onion. The Ultimate One-Pan Oven Cookbook, by Julia Konovalova © Page Street Publishing, 2018. “Pin” Asian Glazed Salmon For Later! OH my!! 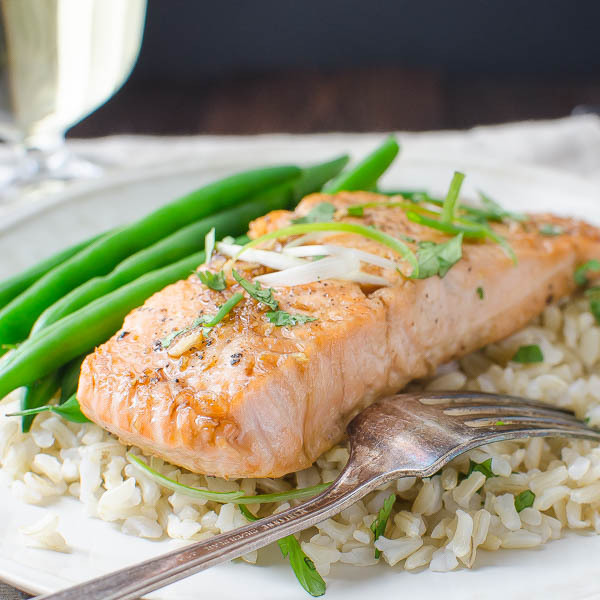 This salmon looks like just what I need for dinner this week!! There is not much better than a great salmon. That sauce looks so tasty, so I don’t see how this couldn’t be a winner..
I’m such a salmon lover and will eat it *all* the ways. But this sauce sounds so tantalizing right! Definitely need to whip it up! What an interesting recipe. I love Asian seafood dishes. This looks fantastic! We love salmon so this definitely needs to happen! Looks crazy delicious! And so easy to make! My biggest cooking struggle is finding the time to cook healthy meals for my family on a busy schedule. 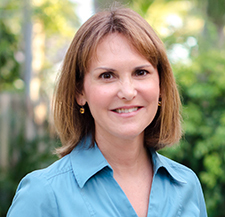 This book would help on cutting down the dishes I have to use and wash.
You’re so right, Linda — her cookbook streamlines cooking and helps you get healthy meals on the table quickly! Lisa, this looks so incredibly delicious!! 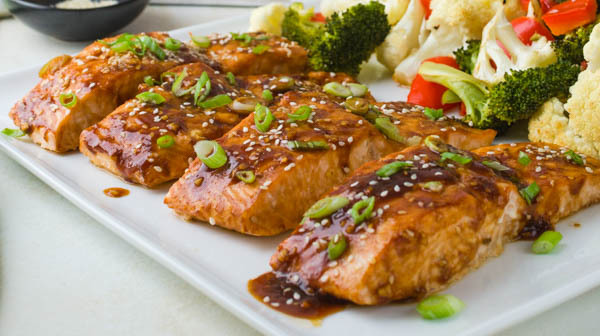 I love salmon and when you add the hoisin maple sauce….oh, my word!! I have to check out her cookbook. I can’t wait to try this recipe! I love this complete meal and I’ll have to check out Julia’s cookbook! Thanks for the great photos demonstrating just how simple this recipe is. Great photos, too. This recipe sounds DELICIOUS!!!! I love salmon and love finding new ways to make it. I have three kiddos at home, so creating delicious meals that are SIMPLE is what I need the most in my evenings these days. This cookbook seems like the perfect resolution to dinner issues! No matter what, I’m checking that cookbook out and I’m making this recipe!!!! We all need easy methods for quick dinners, don’t we! Hope you enjoy this salmon!